BEIJING (Reuters) - Apple Inc will boost its investment in China, one of its largest but increasingly challenging markets, and build its first Asia-Pacific research and development center in the country, Chief Executive Tim Cook said on Tuesday. Cook made the pledge during a trip to China, at least his second in four months, as demand for Apple's iPhones has plummeted in the world's second-largest economy and the government remains wary about foreign technology. Apple's new research and development center will be built by the end of the year, Cook told Vice Premier Zhang Gaoli, one of China's most senior officials, according to CCTV, the official Chinese state broadcaster. The center will unite Apple's engineering and operations teams in China and is also intended to deepen the company's ties to partners and universities, it said in a statement. 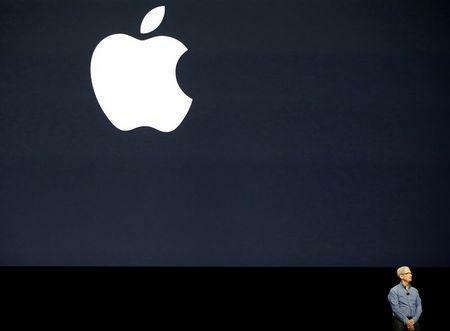 Apple's announcement came after the head of China's industry and technology regulator in May told Cook he hoped Apple could deepen its cooperation with the country in research and development and stressed information security. Sales in Greater China, once touted as Apple's next growth engine, decreased by one-third in its fiscal third quarter, after having more than doubled a year earlier. The results did not include inventory drawdowns as retailers sold phones in stock faster than new supply coming from Apple, meaning that demand was not as weak as it seemed. China's slowing economy is stocking concerns about Apple's prospects there. The company's online stores for iBooks and movies closed in the country after Beijing in March imposed strict curbs on online publishing, particularly for foreign firms. Before Cook's charm offensive in Beijing in May, Apple announced a $1 billion deal with ride-hailing app Didi Chuxing, a move many experts saw as an attempt to curry favor with Beijing.